Event: Style XL, Plus Size Fashion Event. When I founded Plus North, inspired by Plus London, I never dreamed so many other plus size events would pop up, it's fantastic to see so much happening around the country. 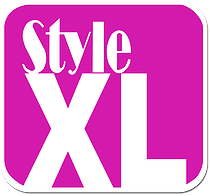 Style XL, the first of which took place last year, is a midlands based event which brings together top Plus Size retailers and catwalk shows. Taking place on 18th/19th July in Birmingham, this years event is set to be even bigger and better. Among the brands there will be Simply Be, Yours Clothing, Bon Prix and Scarlett and Jo. You can see the full range of exhibitors here. This years event is in aid of Mind Charity, as someone with bi-polar it's a charity very close to my heart, so our shop Made By, is donating a couple of pieces for the charity raffle. I will of course be there, you'll find me pottering around with my partner in crime, the lovely Em from Terrible Tumbles, do come and say hi to us if you're coming. If you'd like to come along, there are limited tickets still available from the website. Click here for all the info. Yay another one of the bloggers that I follow will be there! I can't wait for this. Birmingham city centre itself is rubbish for plus size fashion so this will be brilliant for me. I'm looking forward to seeing everyone and being surrounded by like minded women. See you there! Super excited to meet you there!